In general, I’m a big fan of interviews because they open the opportunity to work closely with other amazing professionals in the industry. Moreover, they provide very compelling content. To that end, I’m officially launching PPC Ian’s interview category! Today, I and extremely honored and lucky to launch my interview category by interviewing none other than Matt Lawson, Director of Marketing at Marin Software! As someone with a Stanford Computer Science background, I truly appreciate the power of a great search marketing application. There are many applications out there. However, as someone who’s personally product managed two in-house systems, surveyed all of the major tools out there, and leveraged Marin Software first hand, I am very confident saying Marin is in a league of its own. However, enough about me! Let’s jump right into the interview and learn all about Marin Search Marketer. Ian: Matt, I’m just about the biggest Marin Software fan out there. It’s a real pleasure and honor to interview you, thanks so much for sharing your time with everyone who reads PPC Ian! Matt: Thanks Ian and congrats on the PPC Ian blog! We have more than a few readers here at Marin Software, and we are excited to be your first interview. Ian: I am very honored that the folks at Marin are reading my blog! Matt, you’re Director of Marketing at perhaps the coolest search technology company out there. How did you arrive at Marin? How long have you been there? Would be really curious to hear a bit about yourself and your career path! Matt: I think everyone who ends up in paid search, finds themselves here because it provides the perfect combination of creativity and science. My digital marketing career began about 7 years ago at Coremetrics – which is now a leading web analytics provider. Back then the search engines didn’t even have API’s, so marketers would cross reference their search engine data with their analytics package manually to figure out which programs were working. At first paid search was a small piece of the marketing pie, but as it grew it became pretty clear to me that the market would demand applications for managing paid search. Wister Walcott, a friend of mine from a prior job recruited me to come work at Marin about 6 months ago, and I’ve been enjoying the ride ever since. Ian: For those who are a bit newer to the pay per click technology space, could you please start off with an introduction to Marin Search Marketer? What do you guys do? What’s your application all about? Matt: Sure. We provide a software-as-a-service solution for managing paid search that’s designed for large advertisers and agencies. Running an enterprise-class paid search campaign has its unique challenges – reporting across millions of keywords, modeling large data sets for accurate bidding, and attempting to manage across hundreds of campaigns and thousands of ad groups. Marin Software helps search marketers save time and improve financial performance through a combination of automation, improved workflow, and optimization tools. In just three short years we’ve grown to a leadership position in the space, with over $800 million in annualized paid search spend being managed through our platform today. Ian: These days, there exists a huge selection of search marketing tools. What’s different about Marin? How do you guys compare to some of the other tools out there? Matt: There are a lot of reasons why we’re different; it’s hard to pick one! If I had to choose, I would say the real difference with Marin is that our tools provide a great combination of power and ease of use. A lot of paid search tools out there are simply too complex to use, forcing search marketers to rely on spreadsheets or vendor client service teams to accomplish their goals. That not only slows the process down, but it takes success out of the hands of the search marketer. Marin empowers users to manage campaigns, while at the same time delivering all of the automation and optimization capabilities that you would expect from an enterprise class tool. Ian: One of the things that consistently impresses me about Marin is your ability to attract top-notch account managers, pay per clickers who have managed multi-million dollar campaigns at previous gigs (basically the industry’s top dogs). In my opinion, these are the perfect professionals to help your clients achieve major success. What’s your secret? Would love to hear more about your recruiting strategy. Matt: How we service clients is truly unique to Marin. A lot of enterprise companies hire support teams with a rich history of…well, enterprise software support. In our case, we simply chose a different route. By focusing on hiring search marketers rather than software guru’s, our clients get more than just training. They get coaching in best practices and a helping hand when it comes to solving hard the hard problems in search. The secret isn’t in the recruiting, it’s simply that we decided to take a novel approach to servicing our customers and it’s paid off. Ian: Digging into the specifics about Marin Search Marketer, could you please walk everyone through a few of your highest leverage features? One that I know everyone would love to hear a little about is your bidding engine (arguably the best in the industry). First, our Analytics to Action interface is a critical piece of our clients’ success. Because we allow marketers to take action on data from directly within reports, they experience a more natural workflow for paid search. Lack of adoption is the #1 reason that software implementations fail, so at Marin we’ve made it a priority to make our interface as easy to use as possible. Our bidding provides all of the power of a portfolio based solution, with all of the control that a rules based solution provides. Marketers can easily set up business goals and run our automated bidding in a lights-out fashion, or they can manipulate bids for key terms. By putting search marketers in control and giving them the tools they need for success, they can adapt their bidding strategies to meet the unique needs of their business. Finally our optimization tools allow you to aggressively improve ROI by applying a full suite of campaign management best practices. We provide keyword suggestion tools to help you quickly grow your campaigns, as well as tools for testing creative and landing pages. We also help you to manage match types and ad group structure to maximize campaign quality. Ian: There’s no doubt about it, your UI is incredibly polished with a tremendous amount of thought and testing behind it. Would love to hear a bit more about your overall UI strategy and your take on making pay per click professionals as efficient as possible. Matt: We are a company of search marketers – in fact our entire client service team has a history of running actual paid search campaigns. As a result, we have been able to center our design philosophy around the day to day needs of search marketers. We call this our "day in the life" methodology. When we build new features we work with our client teams to evaluate the complete workflow, trying to minimize the time and effort required to complete a task. More importantly, when we push a new release our client services team is the first to test new features – before our customers even see it. By making sure that it works for people who have actually been in the trenches, it helps us deliver a product that goes beyond checking the box on feature requirements. Yesterday, I was talking to a customer about our product and asked them what we could do better from a UI perspective. They literally told me that they couldn’t imagine a UI better than the one we have! We love that kind of feedback, even though we know we can’t rest on our laurels. Tomorrow our product team will be dreaming up a new way to shave half a second off of the time it takes to copy a campaign. With search marketing, time really does equal money. Ian: From a marketing perspective, Marin has branded itself as the "anti-black box SEM" company. Would be interested to learn more. What does black box mean to you and how do you guys create transparency? Matt: We think transparency is critical to search marketing success. With most portfolio based bid engines, the search marketer has no visibility into how bids are calculated. That’s great, until something goes wrong and you need to troubleshoot it. We expose all of the data and calculations that go into generating a bid, so search marketers can see how our algorithm is affecting their most important daily decision – how much to spend on a keyword. It’s interesting to note that this concept of transparency permeates everything that we do. For example, we post the pricing for our software on our website for the entire world to see. When we encounter a problem with a client, we surface it and address it head on rather than try to sweep it under the rug. At the end of the day, we believe being transparent with your customers is not only the right thing to do, it’s critical to long term success. Ian: As you know, pay per click is a very small industry. From industry connections, I have heard overwhelming accolades in regards to Marin’s corporate culture and career satisfaction. What’s your secret behind this great corporate culture? Matt: The reality is that the principles that we apply to our software – empowerment and transparency – are the same principles that we apply to running our business. The management team here focuses on setting aggressive goals and outlining a vision for the company, rather than micro-managing their employees. By simply making the expectations (and the results) clear, employees are able plot their own course to success and take an ownership stake in the company’s future. A big part of this is about open and honest feedback. With everything we do, we try to understand why something succeeded or failed. Nobody gets faulted for making a mistake, it’s only when you fail to learn from a mistake that it’s a problem. Ian: The search marketing landscape is changing so rapidly. As just one example, Microsoft and Yahoo have a pending deal that could create a real competitive force for Google. What are your thoughts around these changes and how is Marin positioning itself? Matt: We think it’s good for the industry to see Microsoft and Yahoo! coming together. At the end of the day, competition in paid search benefits advertisers, and since those are our clients we are happy to see it. From our perspective, we don’t think that the merger of these two giants will affect Marin and its positioning. At the end of the day, managing a campaign with hundreds of thousands, or even millions of keywords is hard to execute on Google alone. We’ve built our tools to deliver time savings, efficiencies, and financial lift, even in a world where all paid search runs through a single engine. Ian: What are some of your core areas of focus over the coming year? 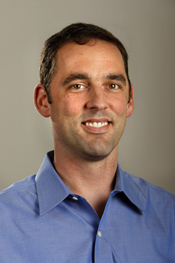 What’s new for Marin Software in 2010? Matt: There are going to be a lot of new things happening in 2010. As a company we are just over 3 years old and growing rapidly. Last year we opened our first international office in London, this year we expect our international expansion to continue, building out our sales and support teams as well as translating the UI into more languages. Today we deliver six product releases a year, based on feedback from some of the largest, most sophisticated search marketers in the world. As our company grows, so will the pace that we innovate at. While I can’t disclose where we are heading with our product, it’s fair to say that in 2010 Marin Software will make search marketing software smarter, with more solutions that intelligently recommend changes to optimize quality scores and bids. Finally, we will be growing our employee base here in the states. Anytime you experience rapid growth, you are always challenged to maintain your corporate culture. We’re fortunate in that our sales, service, and engineering teams are all co-located here in San Francisco. That not only helps us to communicate and resolve customer issues faster, it allows us to easily assimilate new employees into the Marin way. Ian: Is Marin currently hiring? If so, which roles are most critical? Matt: Marin is hiring! We are hiring across a variety of roles – in sales, marketing, client service and engineering – all critical roles. From our perspective, the roles that directly touch our customers and our product – client services and engineering – are the roles that are most important to our growth. Because our clients’ success fuels our growth it’s hard to ever have enough talent in those two areas. Ian: That’s great! PPC Ian readers, if you’re interested in applying for a position at Marin Software, please send me your resume and a brief cover letter to jobs@ppcian.com. I will personally screen your resume and connect you with the right people at Marin, if the fit is right. Ian: I personally know that a huge array of search engine marketing professionals are currently benchmarking various technologies, looking for the right one for their organization. I’m consistently seeing Marin as a top contender. What’s your advice for companies actively looking at technologies right now? How can they get in contact with you guys and learn more? Matt: We work with a lot of companies on software selections, and see some consistent themes across companies that are successful, not just through implementation but in terms of long term results. The most critical thing to get right in a selection is to begin with your own requirements. A lot of companies will simply survey the vendors out there without first taking a look at what is important to them. Beginning with a detailed checklist of your business requirements ensures that there are no hidden surprises once you deploy. Second, you need to find a vendor that works with companies like yours. Take a close look at client lists, do informal reference checks, and ask around at trade shows. We often see prospects assume that all tools are the same and that price is the only thing that matters. The reality couldn’t be farther from the truth. Finally, make sure you are working with a leader. Companies like Marin are operating at scale; with over $800 Million in annualized spend under management. That means more investment in product, client service, and the hardware and bandwidth required to provide you with an enterprise class solution. Make sure that the vendors you are looking at will meet your requirements not only today, but as your business and your search marketing program grows over time. 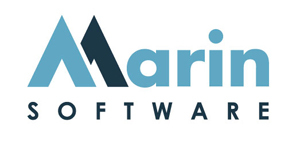 For those readers out there looking to learn more about Marin, you can always reach us at info@marinsoftware.com. Matt, I Sincerely Appreciate The Great Interview! Ian: Great stuff! PPC Ian readers, I highly encourage you to do your due diligence, a very important component of the PPC career path. There’s no doubt that SEM technologies can bring your business to the next level. Make sure to reach out to Marin Software to learn more! Matt, it was a true pleasure and honor. Thank you so much for the interview! I’m super excited about it and know everyone reading PPC Ian will really enjoy reading. Looking forward to staying in touch and thank you! Matt: Thanks so much for your time Ian! Thanks for the comment, Jake!